With the new EU GDPR ordinance that comes into force this 25th of May 2018, companies will be obliged to take greater responsibility when it comes to data privacy and must be able to provide evidence of preventive measures. Handling personal data responsibly will safeguard organisations from costly penalties. Article 5 of the Regulation, for example, clearly stipulates that "appropriate technical and organisational measures must ensure adequate security" for personal data, including "protection against unauthorised or unlawful processing and against unintentional loss". With the passage of this new ordinance, businesses must prepare for stricter compliance regulations and investments in IT security. Yet, there is one key issue that is often overlooked: visual hacking. Doing without mobile work on public transport and elsewhere is not a serious option for most companies. We are increasingly working away from our workplace and the risk of visual hacking is often underestimated. Possible perpetrators keep trying new ways of spying out information, whether it be on the train, on a plane, on the road in a cafe or in the office. It is, therefore, a matter of preventing in a technical way that third parties can also read screen contents or in the worst case even photograph them. Privacy filters protect personal and business data from unauthorized access. Thanks to the protective film, your equipment will be always protected and you will work relaxed and concentrate on your essentials. Suitable privacy filters for notebooks have developed into the means of choice. The special foils are attached to the screen of the notebook. While the legitimate user of the device continues to enjoy a clear view, the view from the side is clearly restricted. If a user does not sit in the usual frontal area in front of the screen, only a black area is perceptible. This offers significantly increased protection, especially for typical mobile work scenarios. How to find the perfect filter for my device? Secret 4-way: prevent your screen from being viewed from all four angles. Secret 2-way: obscures the view from left and right. Magnetic: can be affixed within a matter of seconds and as easily removed and reused. The magnet solution is suitable for MacBooks and other devices with metal housing. Side-mounted: both silicone strips and slide-in brackets for the monitor frame are included in the scope of delivery. This way the filter can be removed just as easily and reused. Self-adhesive: can be adhered over the entire screen, thanks to a silicone layer, are suitable for permanent privacy protection and can be removed with guaranteed no bubbling and residues. 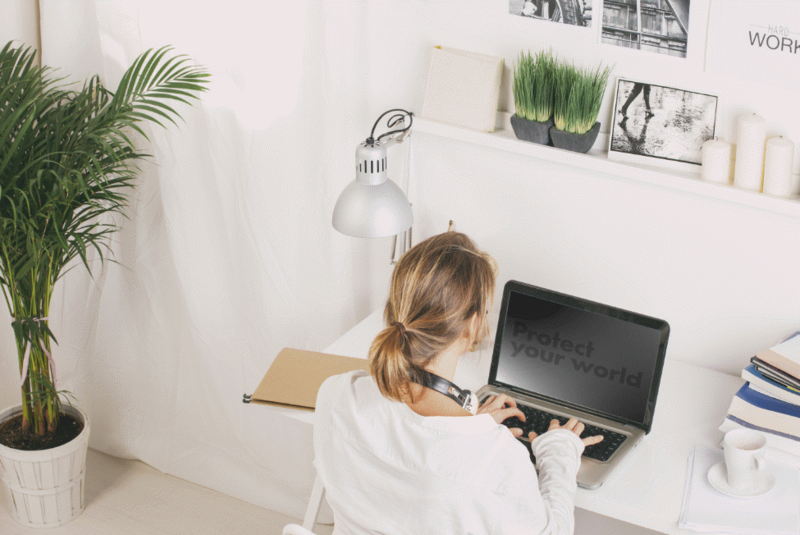 The protective privacy filters with micro lamella technology come in a variety of standard sizes for all common models and can be custom-made, even in small quantities. 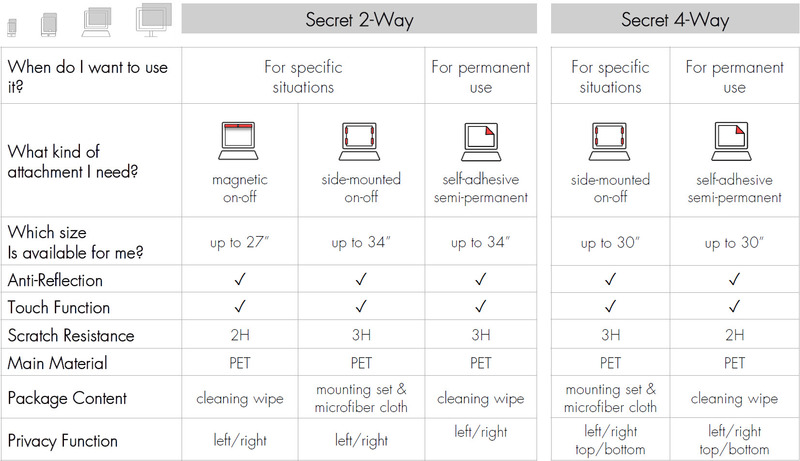 Discover the wide range of secret protective films at www.dicota.com and find the best data privacy solution for your device.